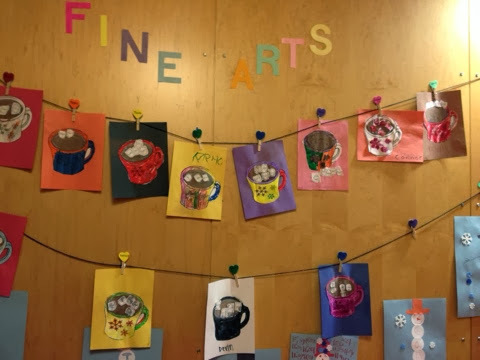 So I'm really good at stealing ideas from Pinterest :) My Fine Arts class does two art projects a week (on Tuesday and Thursdays) so I have lots of opportunities to steal ideas. 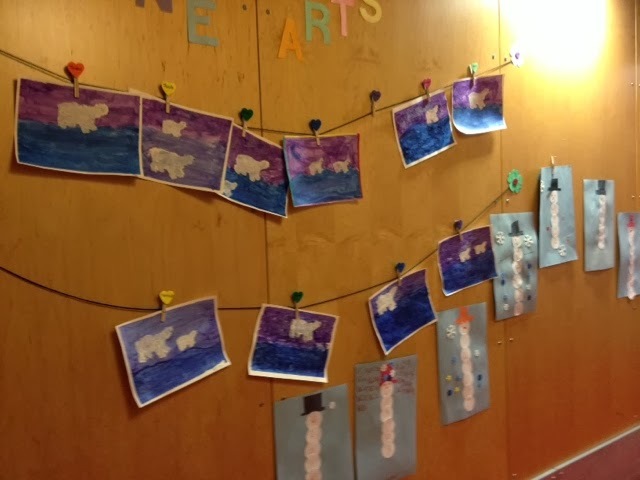 I decided the month of January was our Snowy/Arctic month so our art activities revolved around that. And I know January has passed...but I'm sharing now so I don't forget and you could still incorporate these now! :) Here's my favorites and their respective pins. Shredded Paper Polar Bears - Pin here but it didn't pin to directions...however a quick google search of the picture helped me find directions here. 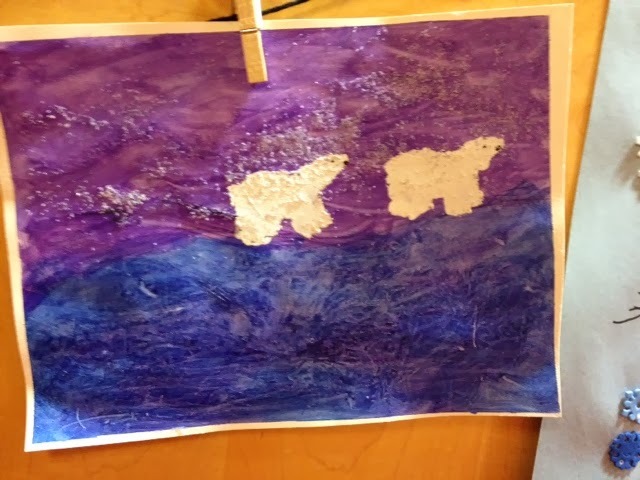 I made my students each shred their own paper and color the background of their Polar Bear. It was difficult for most students to color the background instead of the object - something we usually don't do! Sensory Hot Chocolate activity! 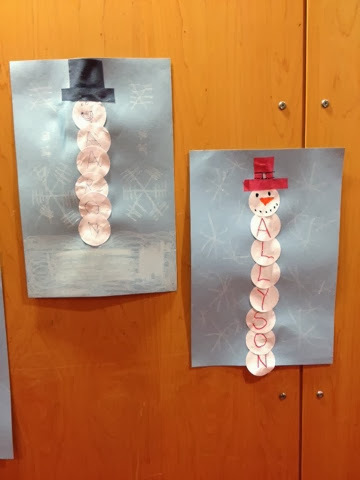 I loved this activity. The pin links to a free printable of the mug and marshmallows. And then we added hot chocolate powder and sugar! Pinned here. 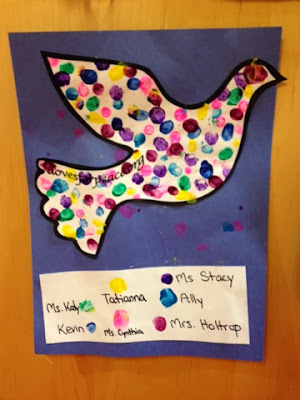 MLK dove activity. As you can see above, this class was very small the day we did this activity so I added our teachers as well, Great for classes of any size, just adjust how many times each student puts their fingerprint on! Pinned here. If you are looking for academic MLK Jr. activities, check out these MLK lessons for multiple free lesson ideas and download links! I think these Polar Bears were my FAVORITE! Great directions (except for some reason we couldn't get the moon to work). I can't believe I had never thought to make stencils before! Click through the pin to read the step by step directions. 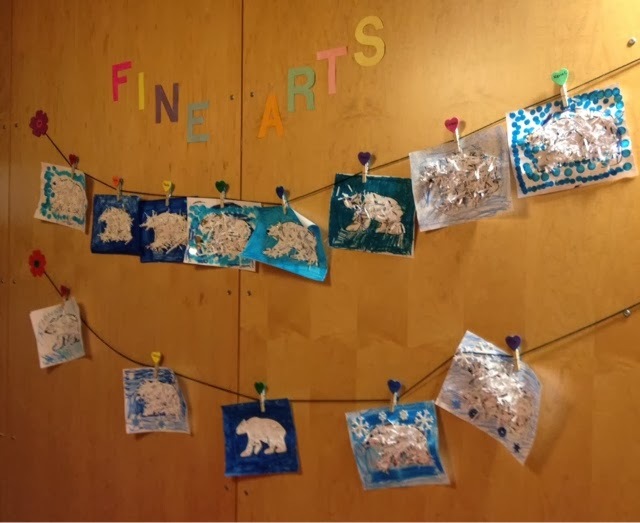 We also brought snow inside to play with for one of our sensory days. 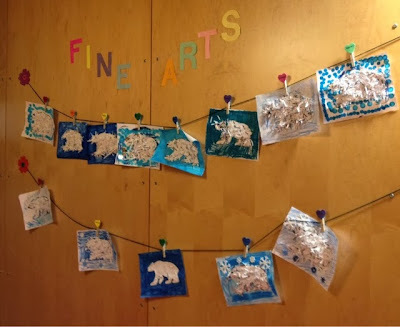 I don't have pictures, but we made some Arctic Animal landscapes by creating these animals pinned here. Throwback Thursday! Check out my Velcro Crossword Puzzle! 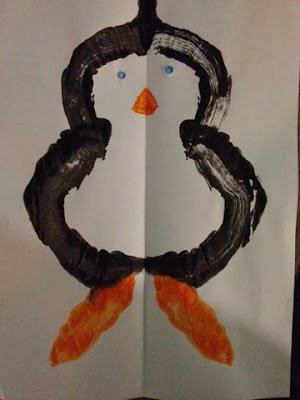 I really enjoy your art posts. Keep them coming, please. I teach a Humanities Class.